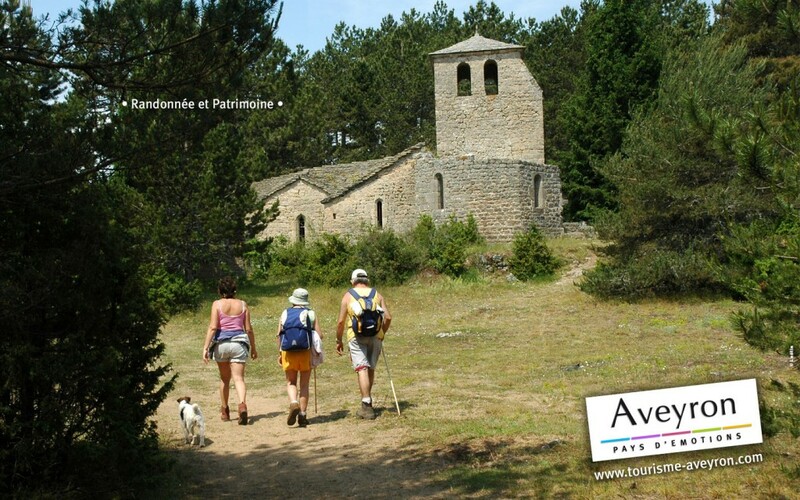 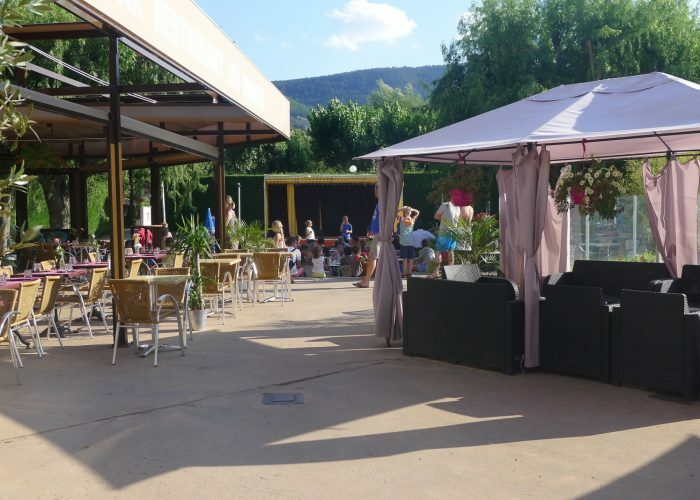 Facing the Millau Viaduct in Aveyron from the large beach of Camping Les Rivages, you’ll discover a savoury mix of art de vivre and authenticity on your cultural and sport holidays (Roquefort caves – Montpellier le Vieux, Circuit of Larzac Templier Hospitalier , Gorge du Tarn). 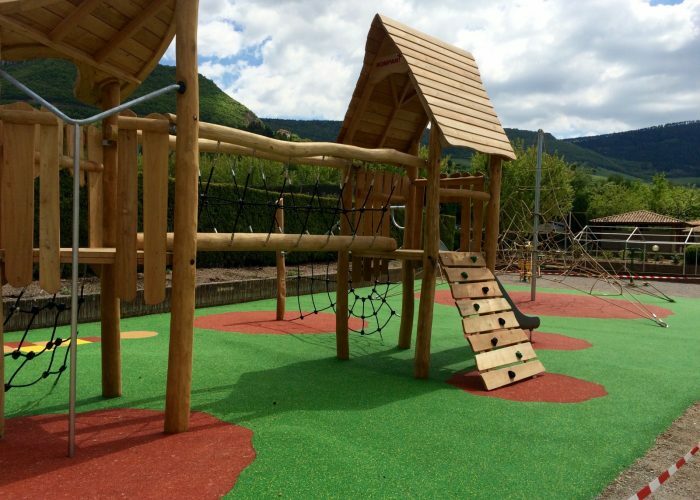 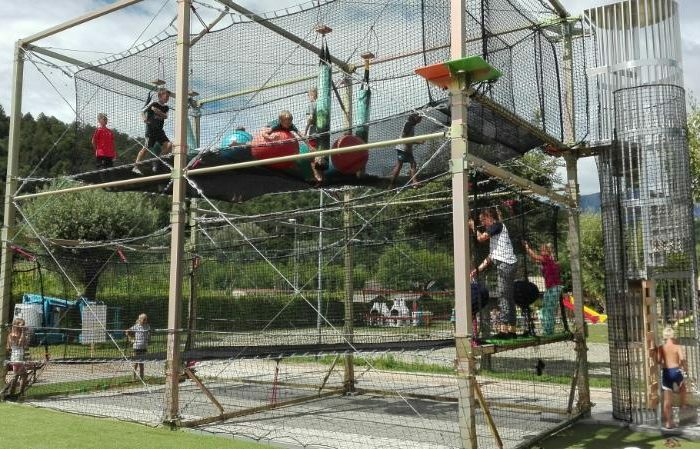 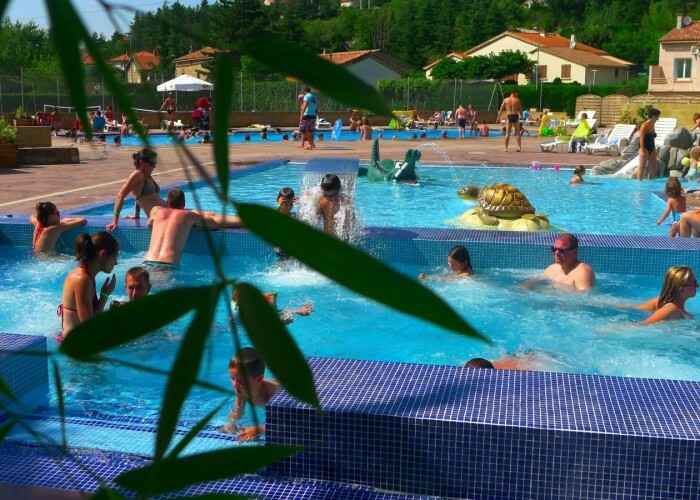 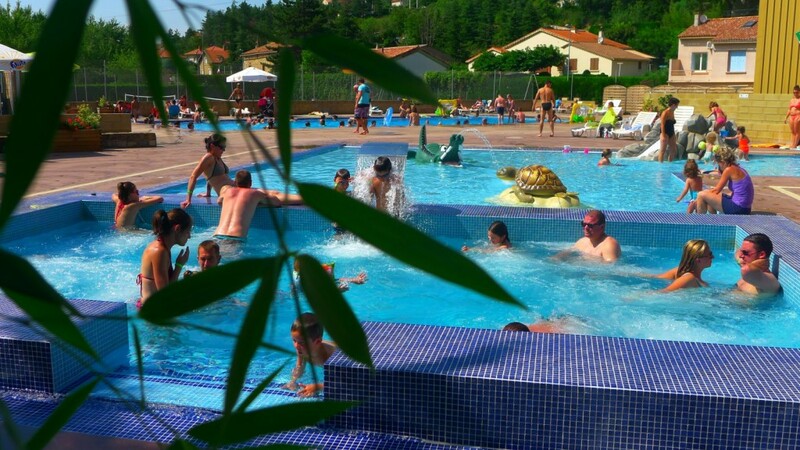 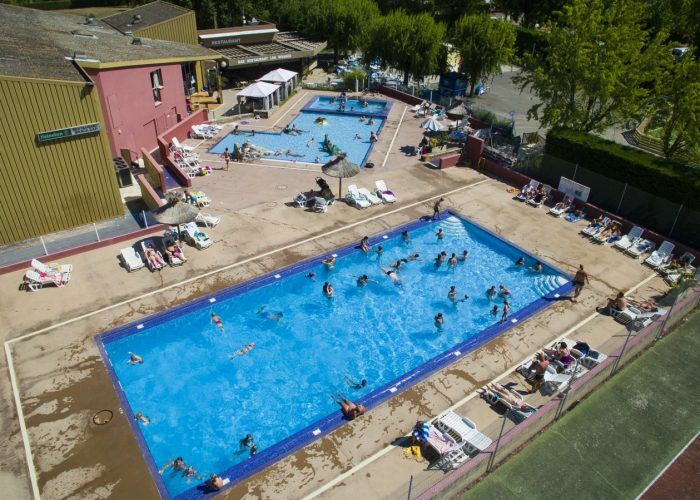 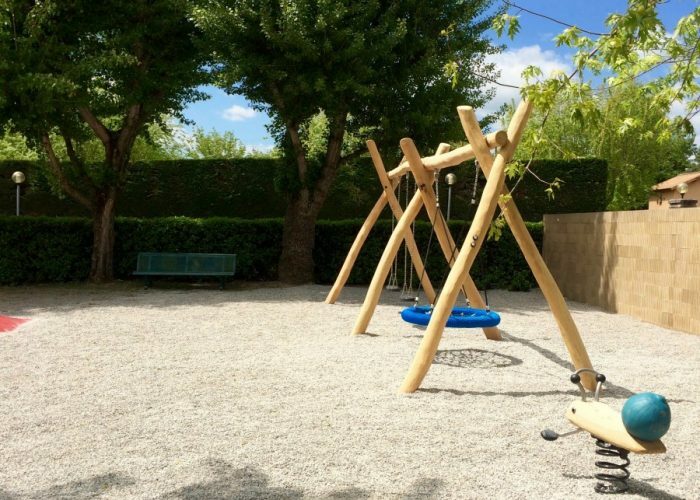 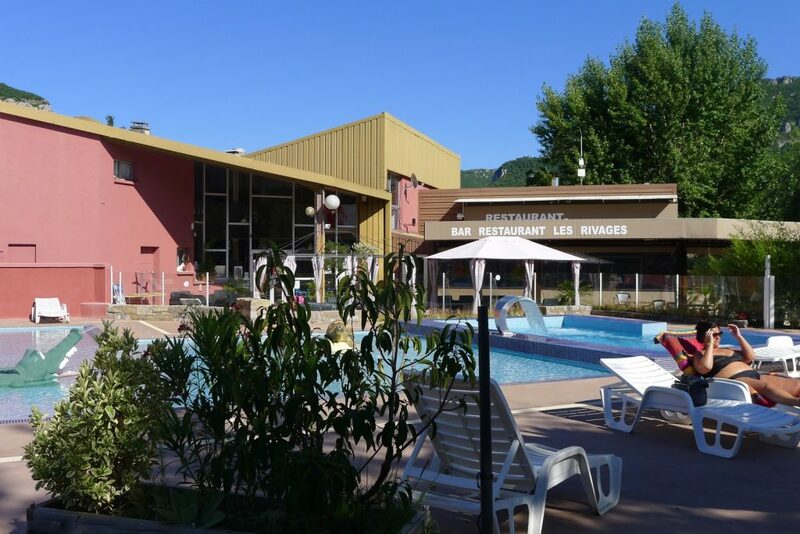 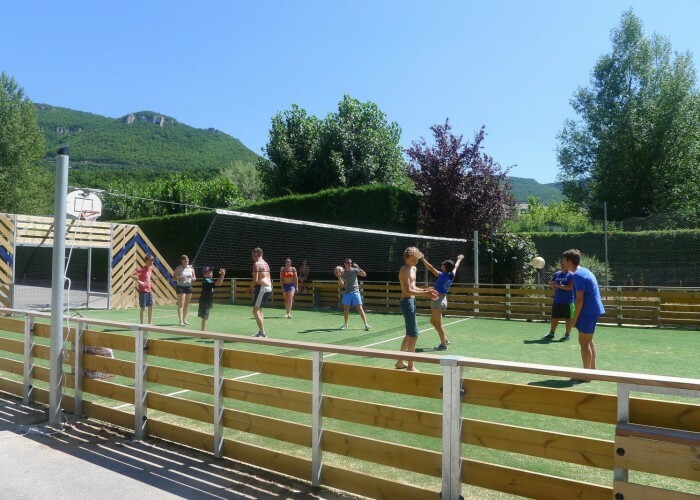 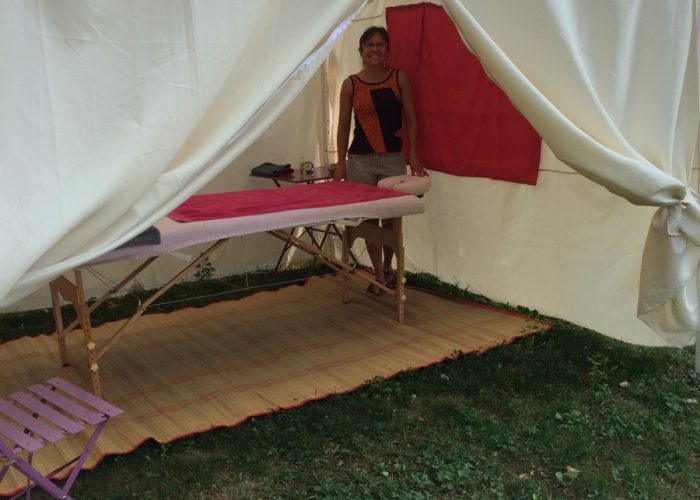 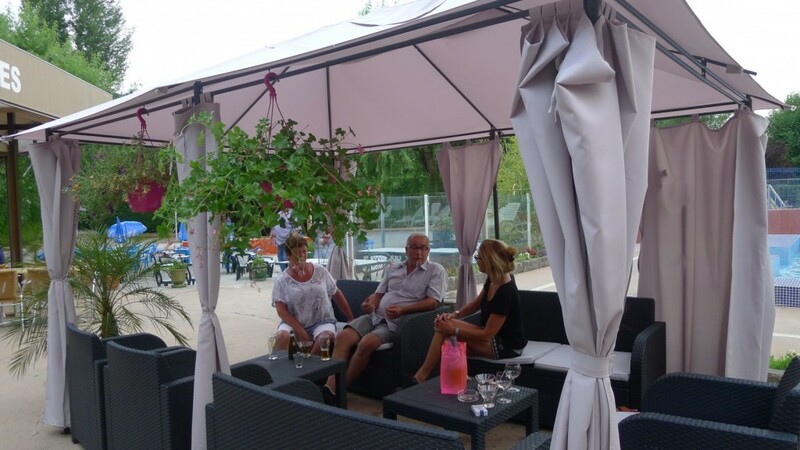 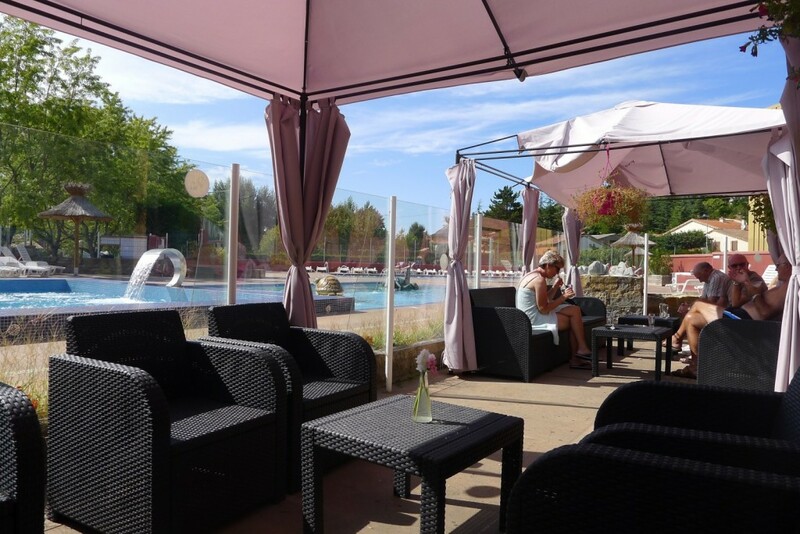 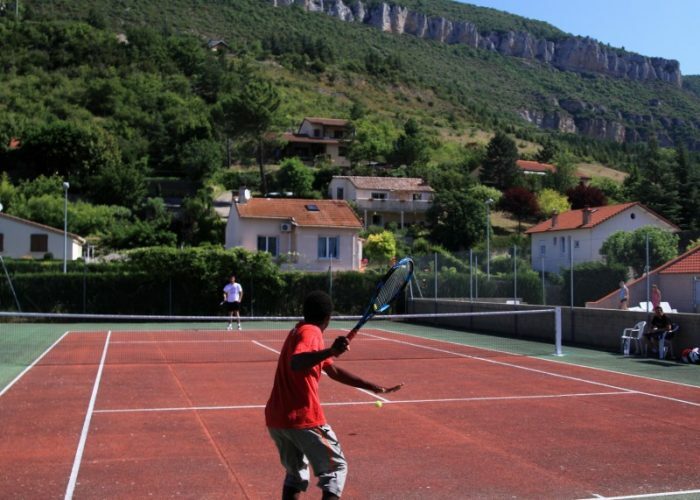 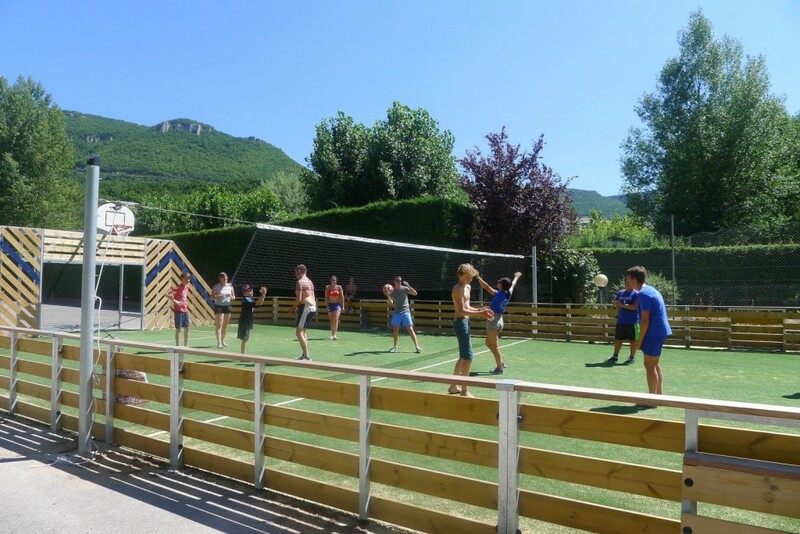 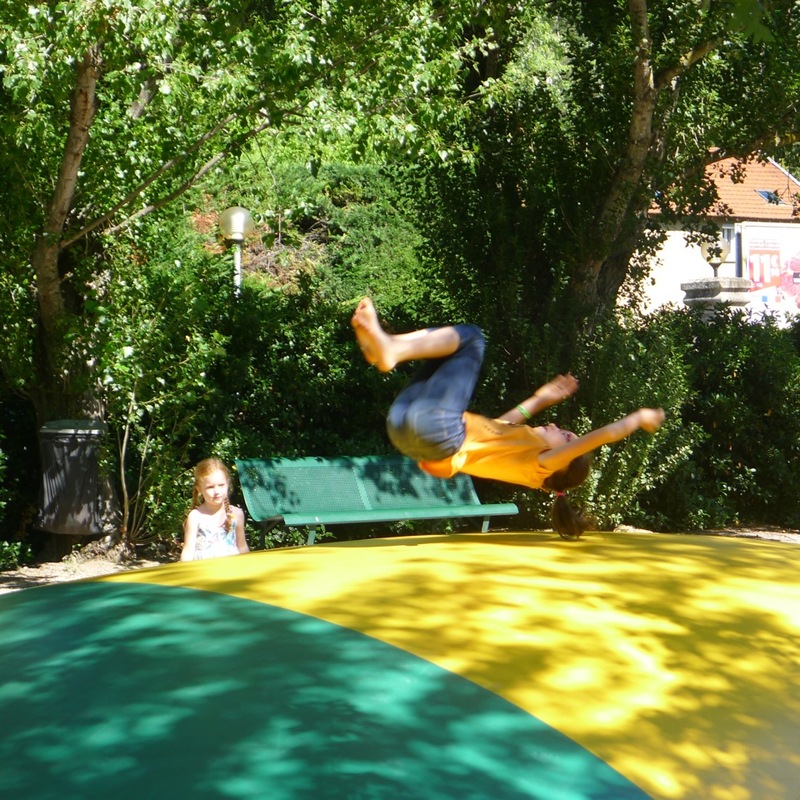 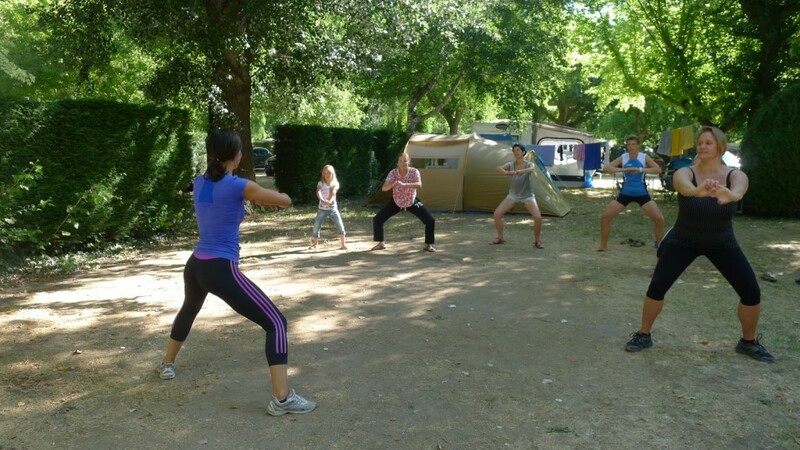 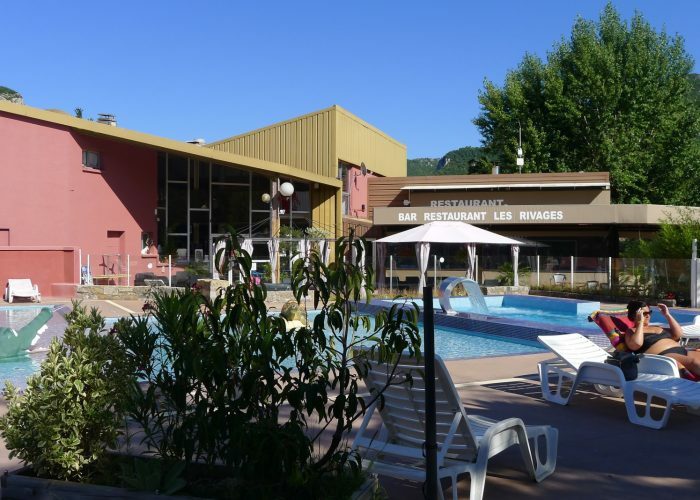 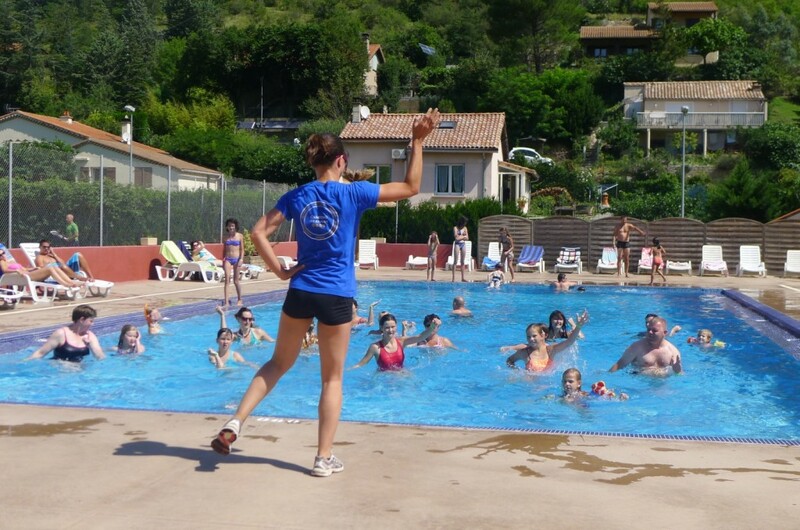 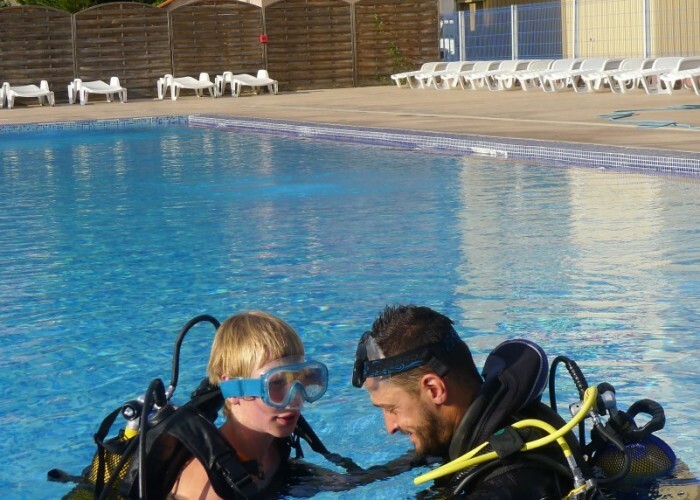 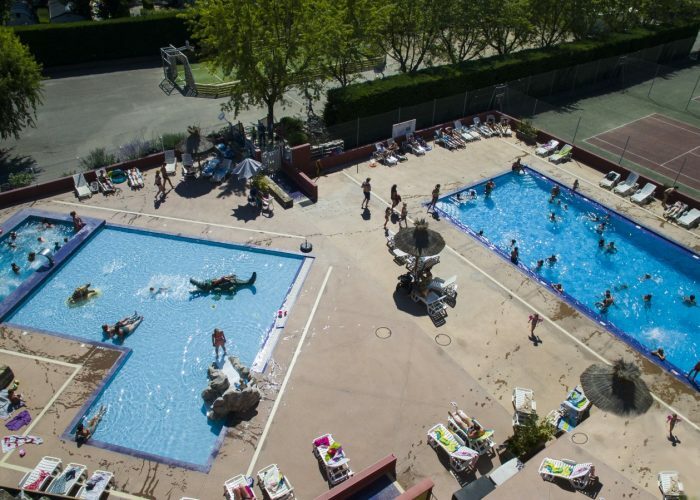 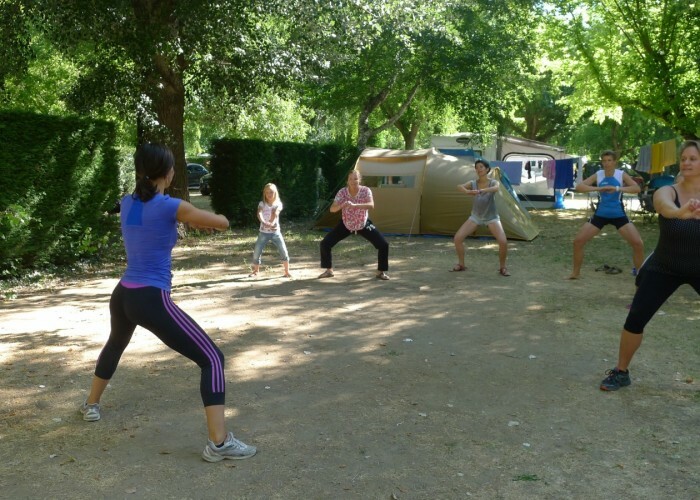 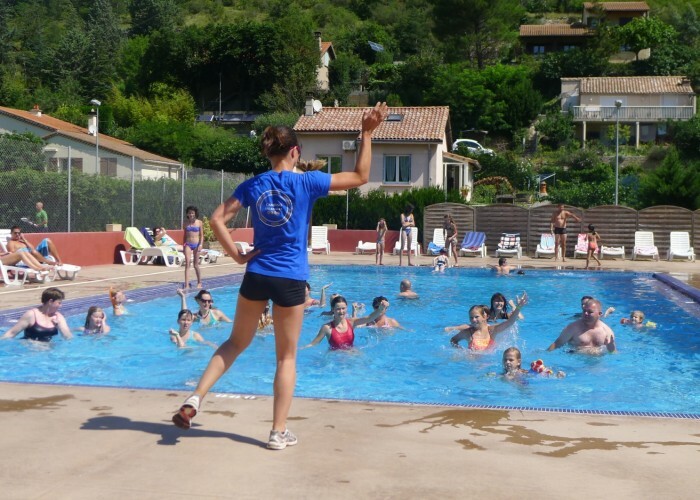 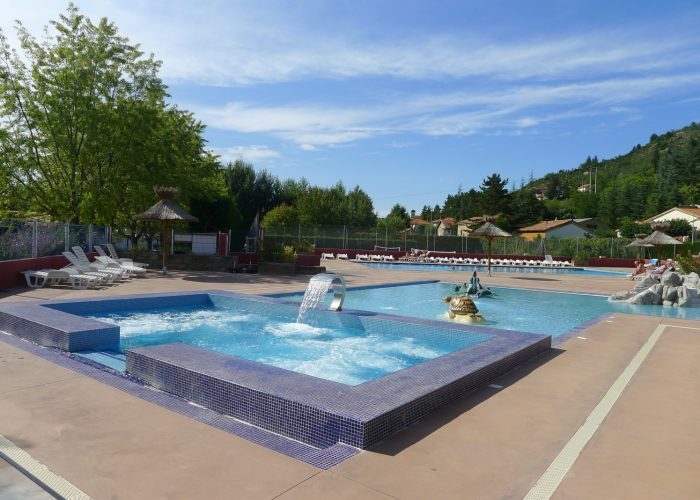 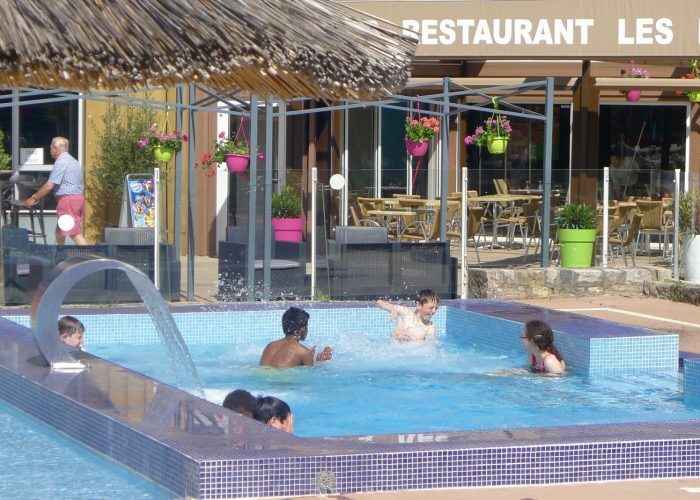 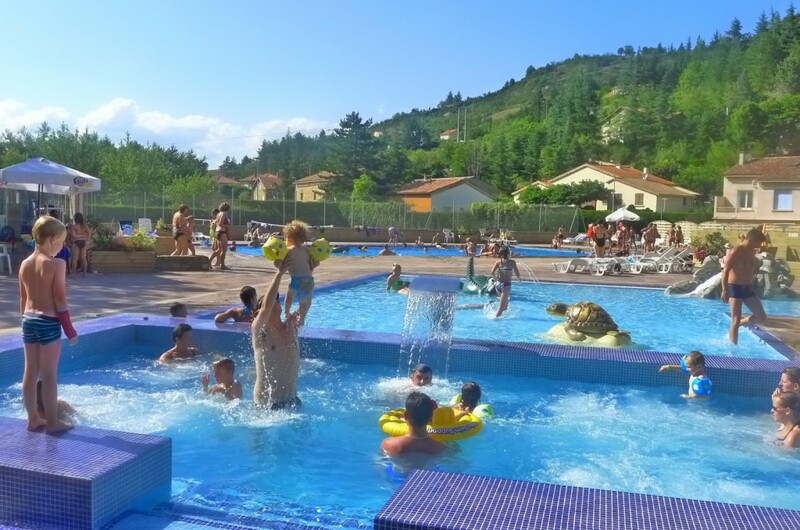 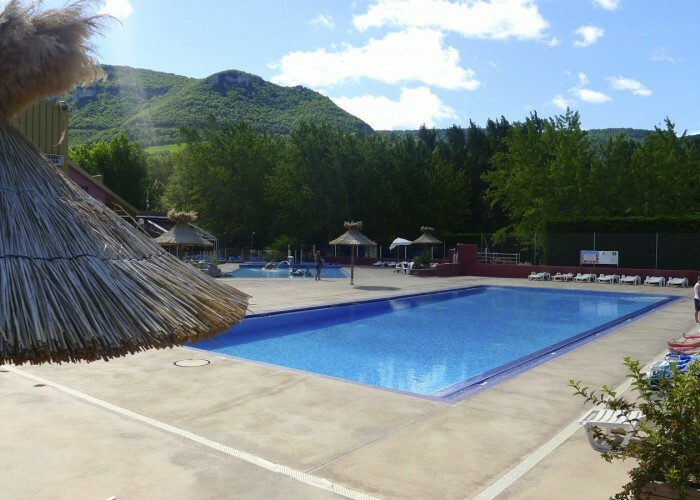 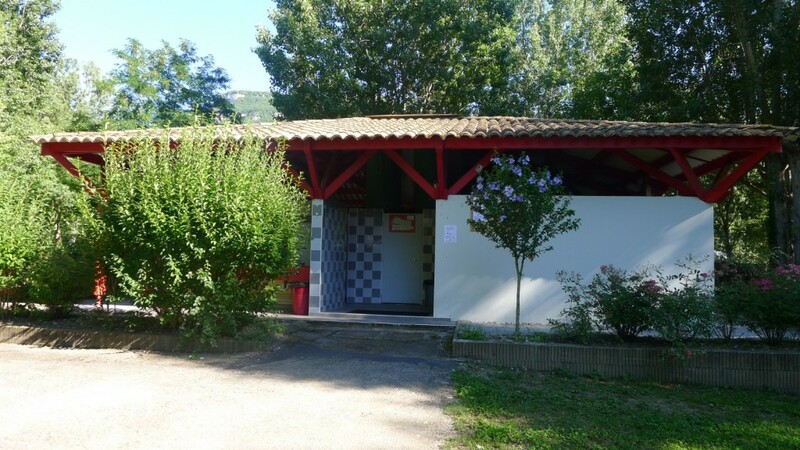 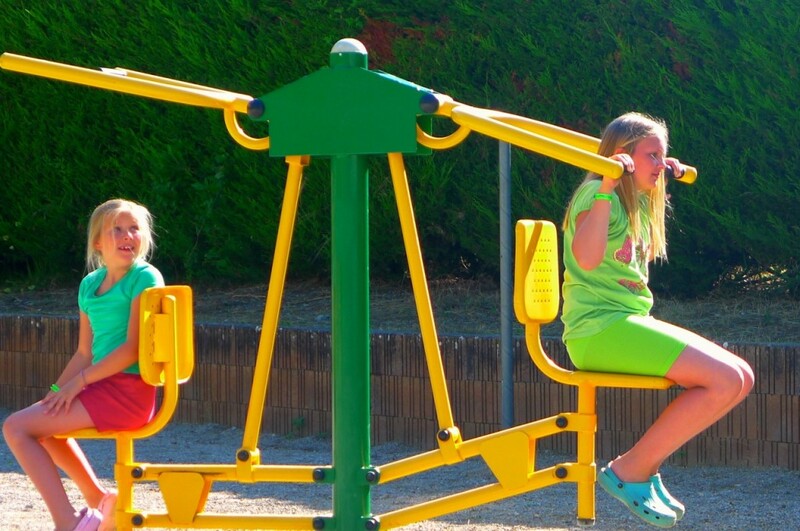 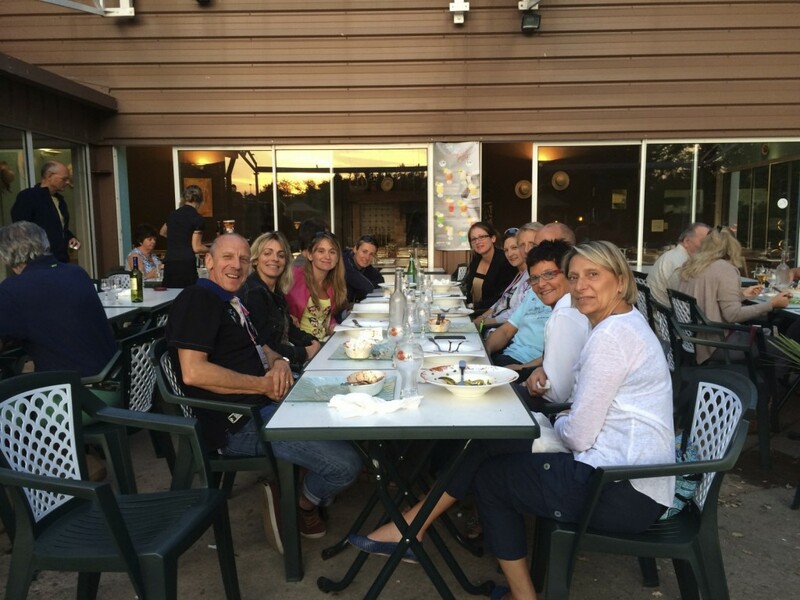 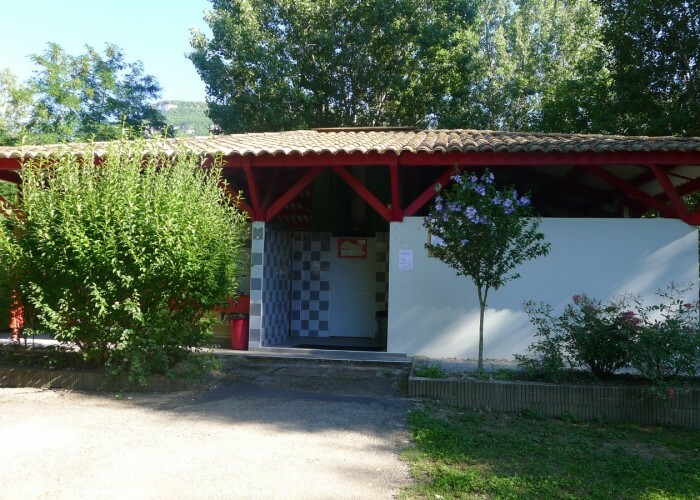 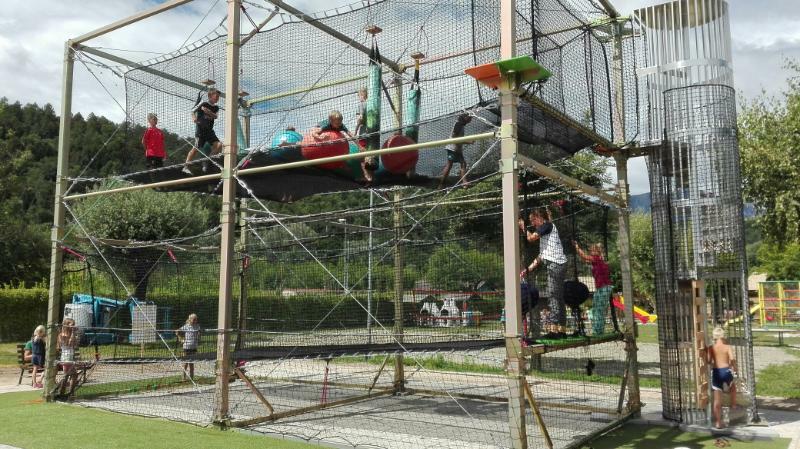 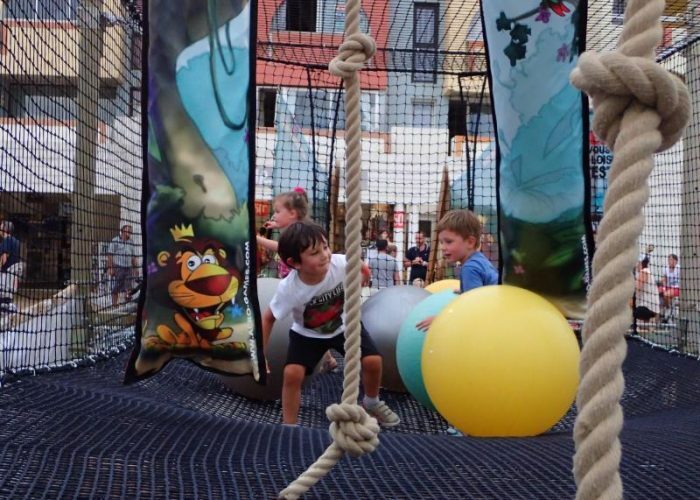 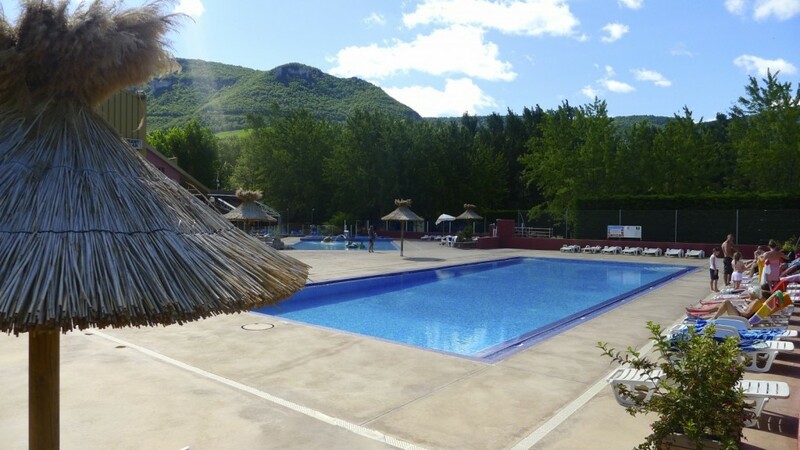 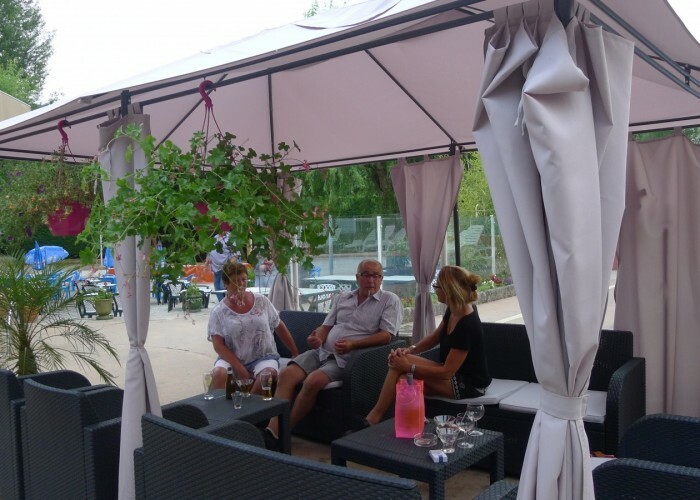 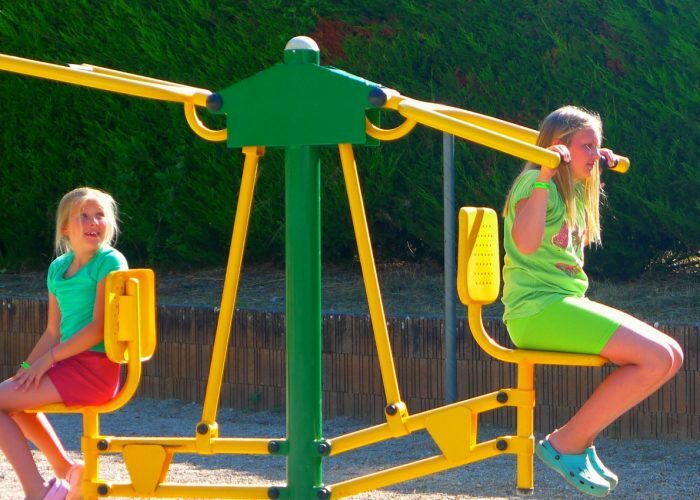 On the bank of the Dourbie, facing the Millau viaduct, you’ll enjoy pleasant family holidays thanks to necessary facilities such as the water park and further services of Camping Les Rivages. 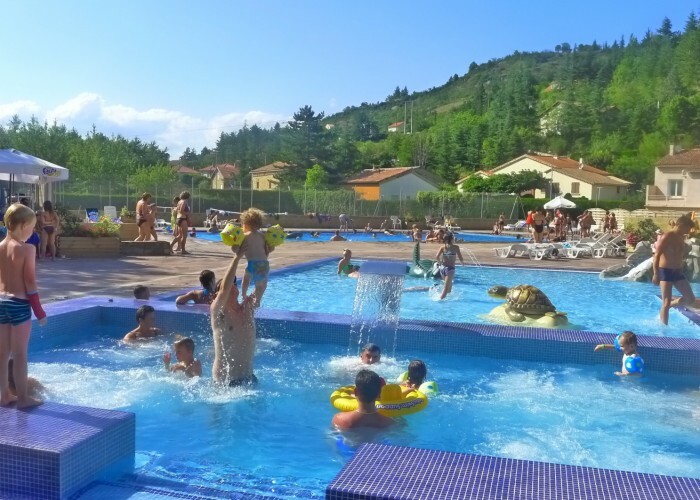 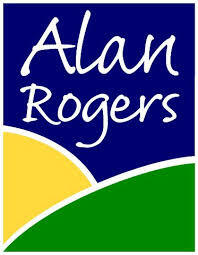 A heated water park with a paddling pool, a spa area and a large swimming pool. 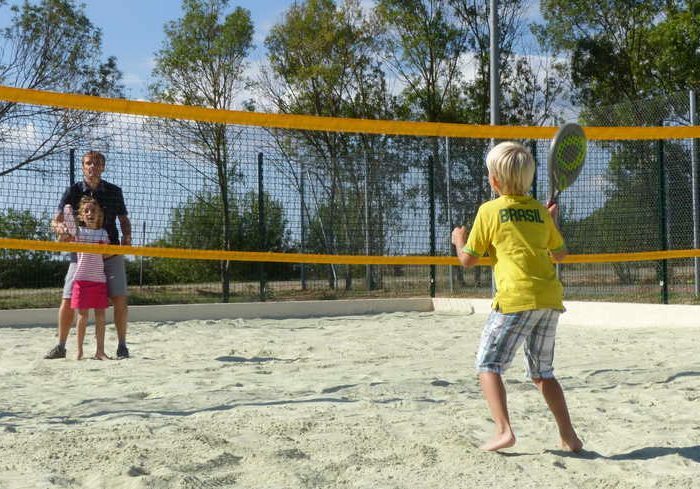 Our 2 tennis courts, 1 squash court, fitness equipment, table tennis, volleyball courts, badminton, boules, indoor socker will delight all sport lovers! 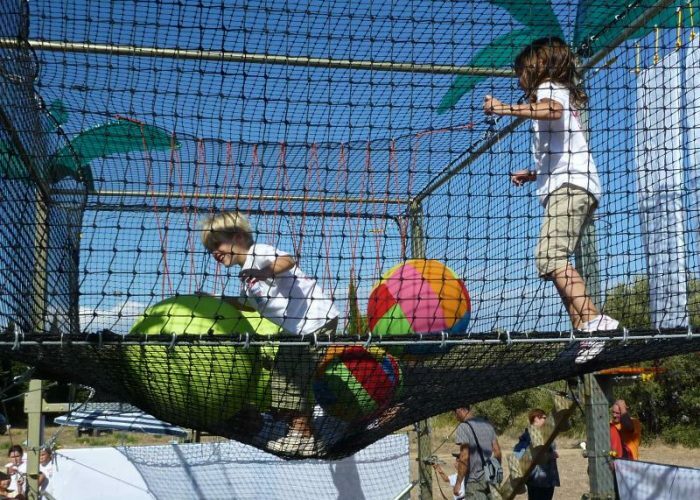 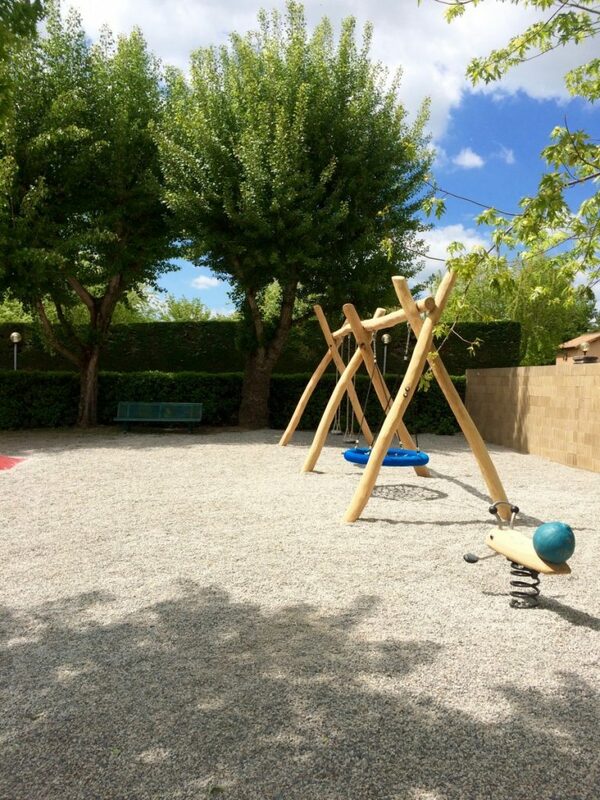 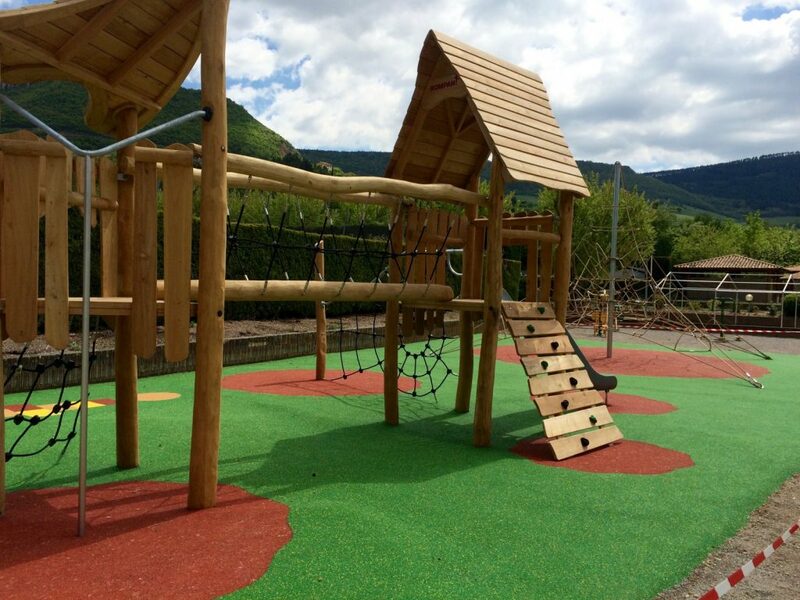 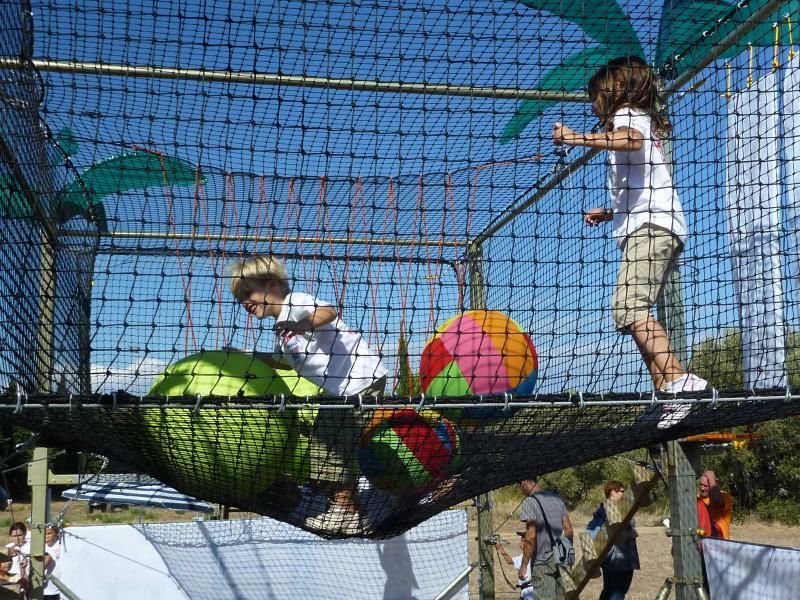 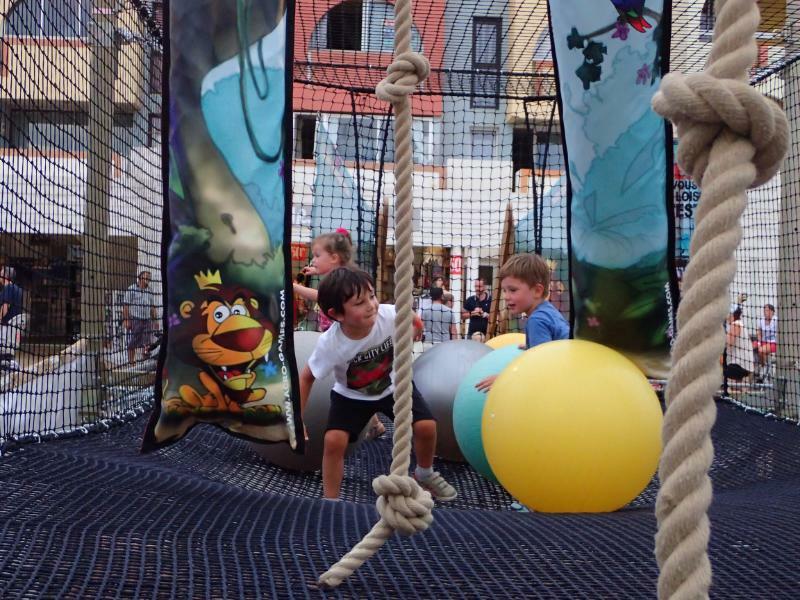 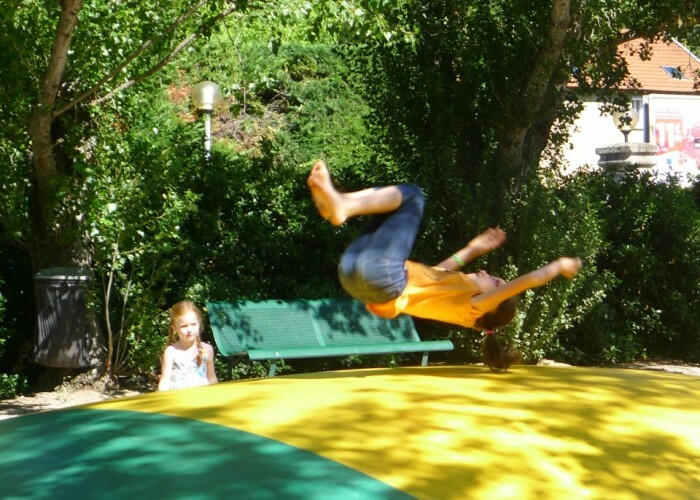 The little ones will enjoy our trampoline and playground! 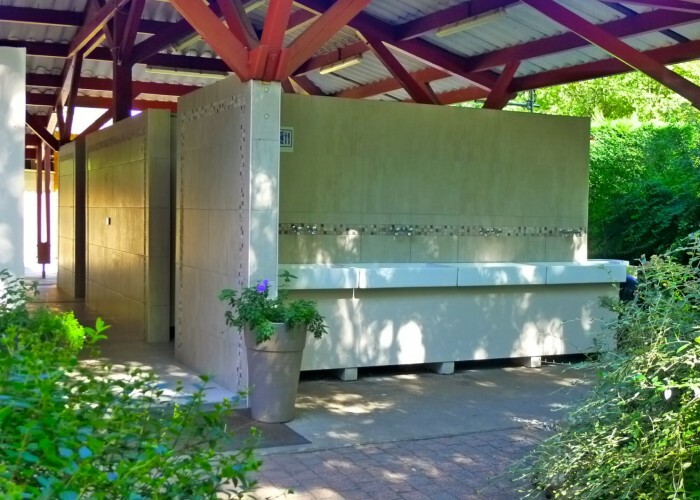 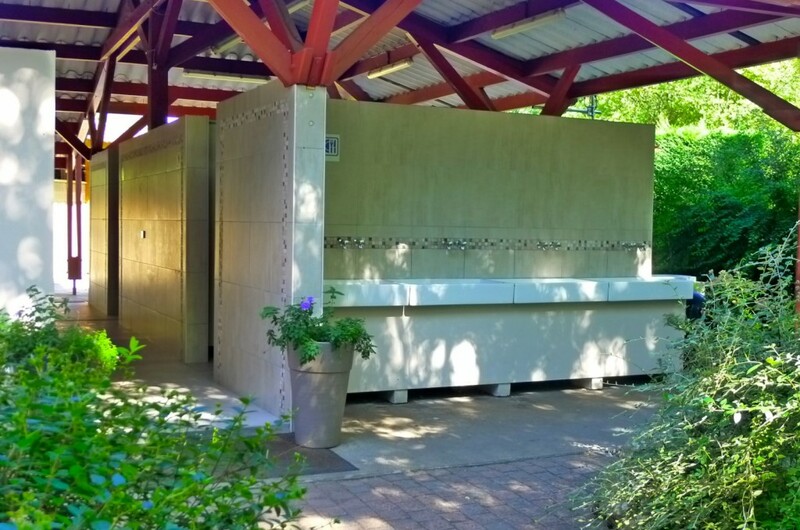 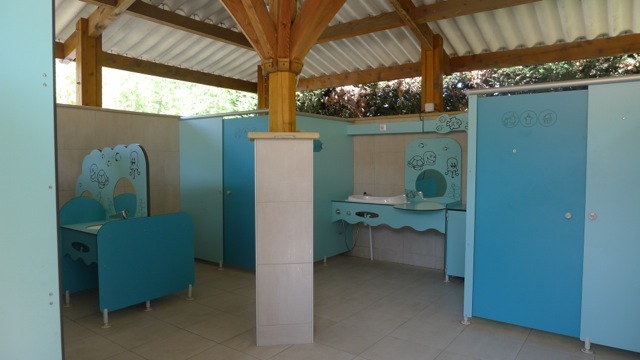 4 sanitary buildings (1 heated during low season) with family showers, baby cabins and cabins for persons with reduced mobility.